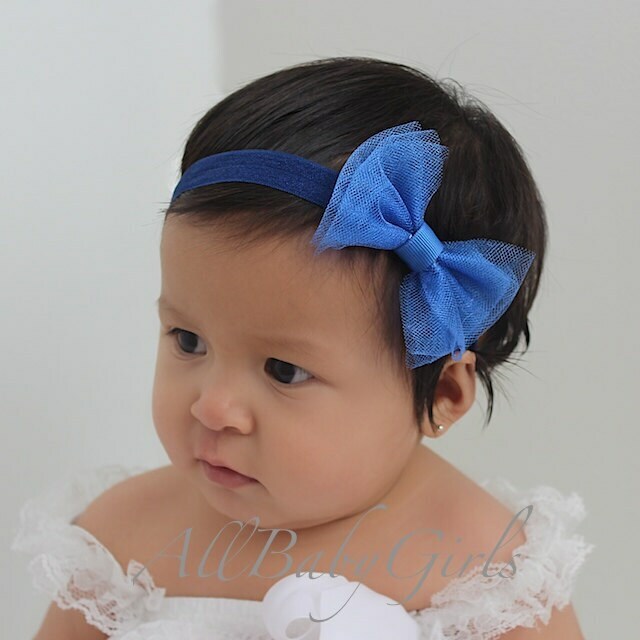 This Entrancing Blue Tulle Bow Headband features one blue 3" tulle bow. 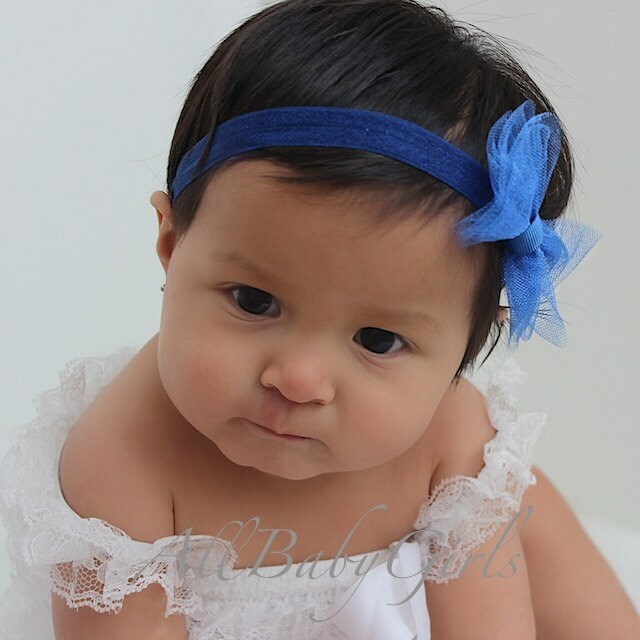 The bow is felt backed for comfort and sit on top of a soft matching elastic headband for a perfect fit. Took a while to arrive (Faviola shipped it the next day). Great quality. The bow is a good size and looks so cute on my little girl. Stunning colour. Love love love!